Glengoyne Scotch Whisky Distillery was built in 1833 and is in the Highlands region of Scotland. The distillery produces the Glengoyne range of Single Malts Whiskies including Glengoyne 10 Year Old, Glengoyne 17 Year Old, Glengoyne 21 Year Old to name just a few. Their whisky is used in the making of The Famous Grouse and Cutty Sark whisky blends. 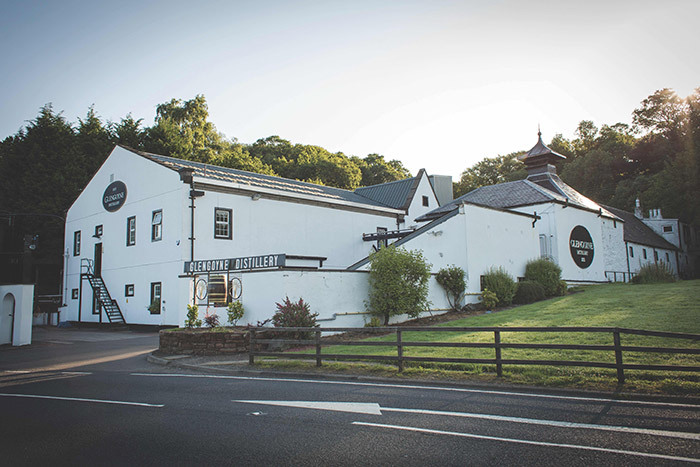 The contact details for this distillery are Glengoyne Distillery, Dumgoyne, Stirlingshire, G63 9LB and their contact phone number is +44 (0)1360 550229. They do have a visitor centre and you can contact them on +44 (0)1360 550254. You can also visit the distillery website at www.glengoyne.com where you will receive more information about their visitor centre and single malt whiskies. If you would like to see local accommoadtion near this distillery for your whisky trail please visit the page on this site for the Accommodation near Glengoyne Scotch Whisky distillery.